The surprise for anyone listening to The Lonely Island's Incredibad won't be how funny the songs are—that's been a forgone conclusion since they announced tracks would be culled from their Digital Shorts on SNL. No, the surprise is how good the music is, how pitch-perfect the style parodies and production for them are, how much this isn't just a collection of random tracks with a few intermittent laughs. 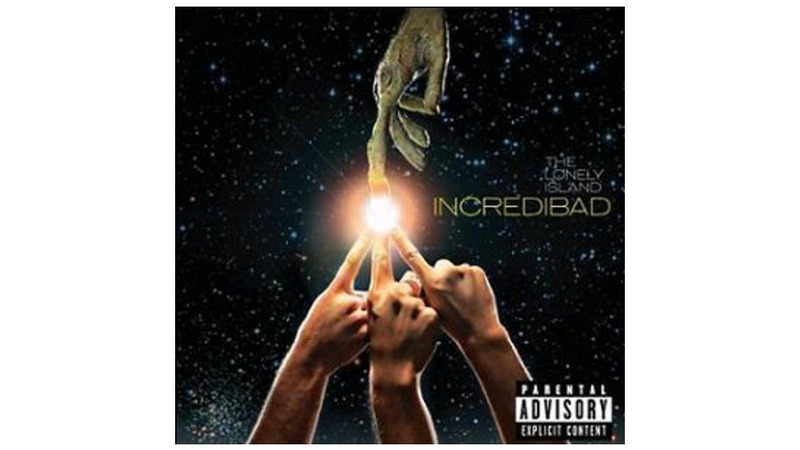 It's a real album, and just because rappers and r&b artists don't normally sing about jizzing in their pants or being impregnated by aliens doesn't make Incredibad's music any less impressive. There's a real sense of craft and care put into the entire work, to the point where you could put a track like "I'm on a Boat" on at a party and people would dance, even while T-Pain claims he just fucked a mermaid. Weirdly, much like non-comedy albums from the genres it apes, Incredibadonly part of the work that isn't funny. And despite the overall cohesiveness, a few of the tracks don't fit in well. Jack Black's "Sax Man" is pretty good on first listening, but grows irritating on subsequent plays because the one-joke song doesn't vibe with what the rest of the album works so carefully to create. "Ras Trent" has the same problem, and since its humor is exponentially diminished without the video it also should've been left to the wayside. But despite those small missteps, the lion's share of Incredibadlike a big accomplishment, but The Lonely Island proves their claim of being the "greatest fake MC's on earth."